AirAsia Zest Promo Fare: Looking for best deals? Our P99 Base Fare Sale is still ON! Lowest fares are available at http://airasia.com/! 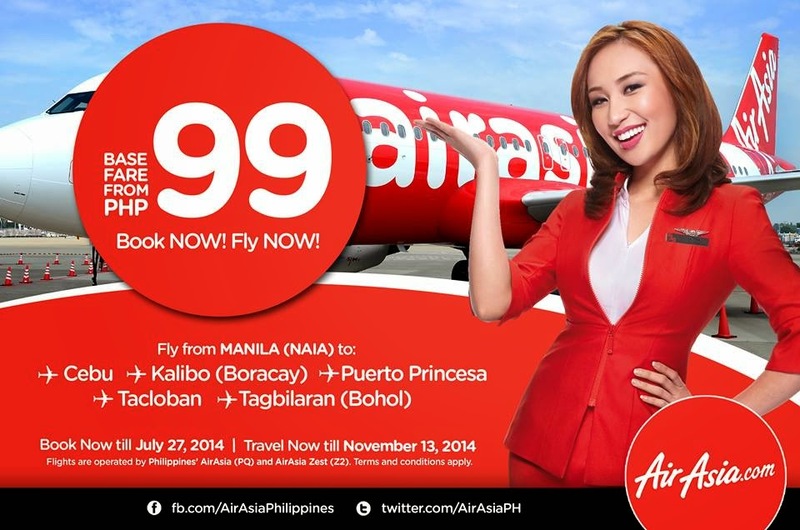 Fly from/to Manila, Bohol, Boracay, Cebu, Puerto Princesa and Tacloban from P99 base fare only. Book now till 27 July and start flying today till 13 November 2014. 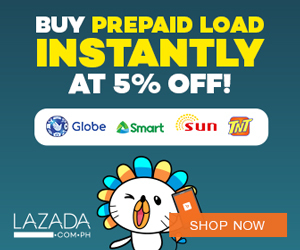 You can pay online via credit/debit card or offline via our payment partners: 7-Eleven, Bayad Center, Cebuana Lhuillier, Robinsons Department Store and ECPAY. This promo is also available for mobile booking! Download the AirAsia Mobile App at http://airasia.com/apps or search ‘AirAsia’ on your app market. Payment partners available for mobile booking are Cebuana Lhuillier and Robinsons Department Store. ‘Share’ this with your family and friends and have that much needed getaway NOW!